This Crafting Life: WIP... Thursday? I can sit still, I just don't like it. So, what do I do? I either return to another project that bored me, or I move on. This leads to a conglomeration of projects that are constantly in flux. Now that you know this, always know the response I give to "What are you working on right now?" will always be literally what I have worked on last and not a lengthy reply of about a million projects that are sitting around my house. The Groovy-ghan. I have the row of flowers and the row of circle squares done. I was working on that row of stripes and my row kept changing sizes. Badly. So I gave up and tucked it away. For some reason, still can't bring myself to finish it. Maybe next year. 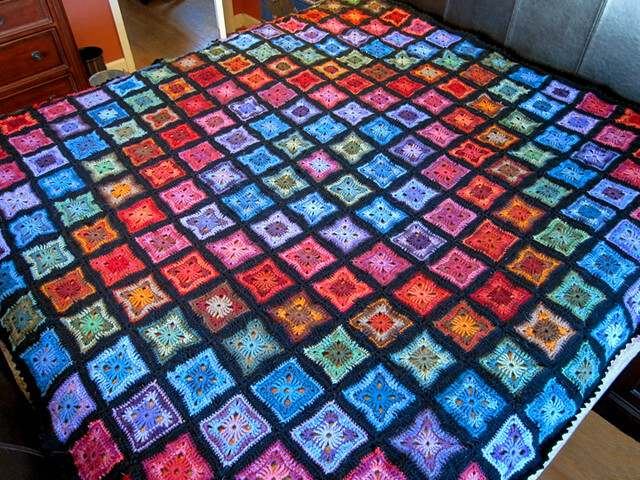 Bernat's Mystery Crochet Along Blanket from 2012. I love the motifs. Loved them so much, I made enough for two blankets. (except for one of those squares. I replaced it with my own because I thought it was ugly) When the final layout was released, I went yikes. I really hate this layout. I think the clusters are ugly and I really don't like how the edges just hang out there. Plans were made to design a piece that would fill in the gaps. It was put away, and forgotten about. A couple months later, I got an emergency request for a baby blanket for a friend who I've crafted for before. I repurposed a few of the shapes and have never reworked them. Will probably repurpose the remaining shapes into a blanket of my own design. Eventually. This was a fun personal project, though I have only made it about halfway up my waist. I am working it in the round, though I have to say just knitting and knitting and knitting gets pretty boring after a while. The Uptempo vest. I made some modifications to this vest, and just wasn't able to correctly deal with the back modification. 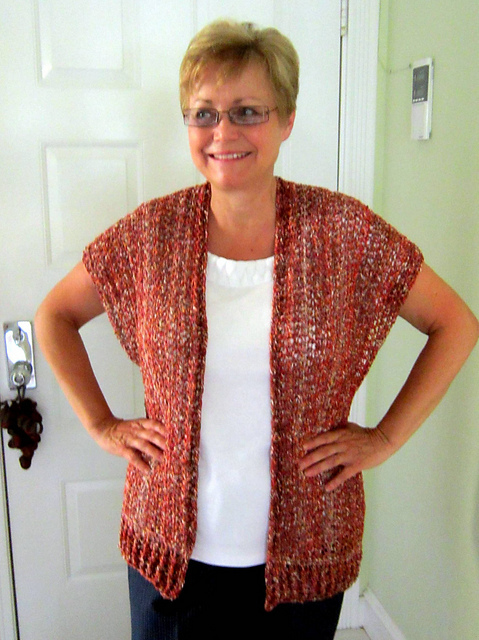 I have a model body now (not quite a dress form, but it was given to me, so I can't complain), so will probably try to finish work on this sweater after Christmas crafting is done. 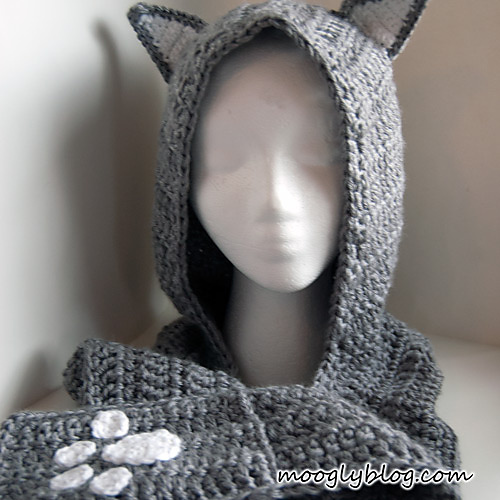 Scoodies for both my neice and nephew, though not exactly like this one. I've made my own patterns for both of them, but haven't finished either yet. 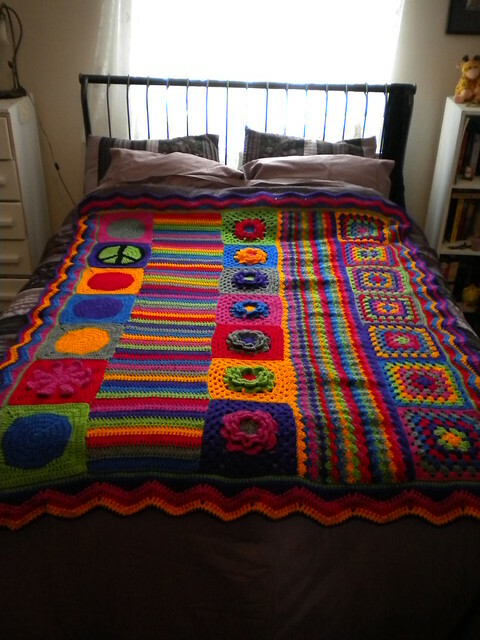 There is also the infamous scrap-ghan. I work on it after the holidays, when I am putting away the last of the scraps from Christmas crafts and the like. It's a nice diversion. It will probably be done in about 20 years. Do any of you need an extra day to think about your WIP's? What is on your project lists right now? Leave me a comment!